We headed back to the 80's for this month's edition of Food 'n Flix with one of the best coming-of-age chick flicks of all-time, Dirty Dancing! This is one of those movies that I've seen so many times I could recite it in my sleep. I owned it on VHS, I own it on DVD, and I can't resist stopping to watch it when I come across it while flipping channels on TV. Plus, the soundtrack! I had it on tape and remember listening to one side and flipping it over in my walkman...or dual cassette deck stereo with record player...time and time again. So, while I wish I could have made more...all...of these dishes, between surgery, recovery, and everyday life, I found myself in a perpetual state of being behind this month. So, sliding in with a cocktail at the eleventh hour it is. But it's a fun cocktail! 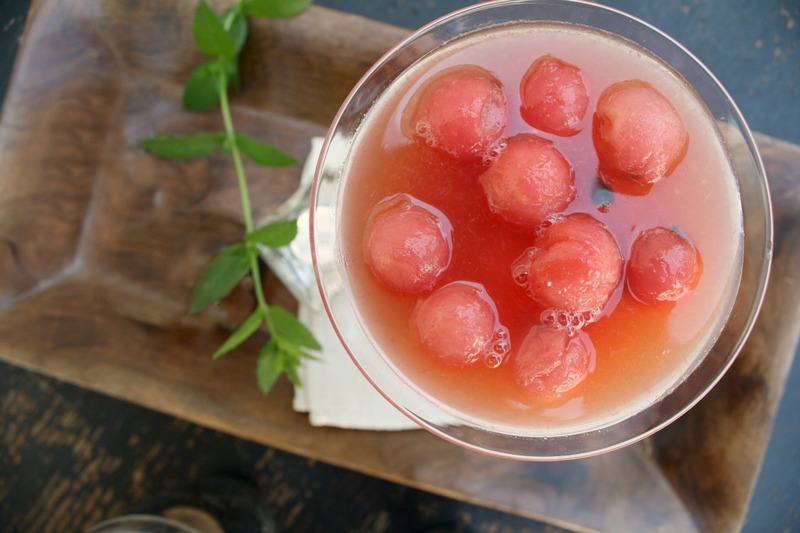 I highly recommend using the frozen fruit ball technique whenever you make a cocktail, to eliminate the watering down of your drink. 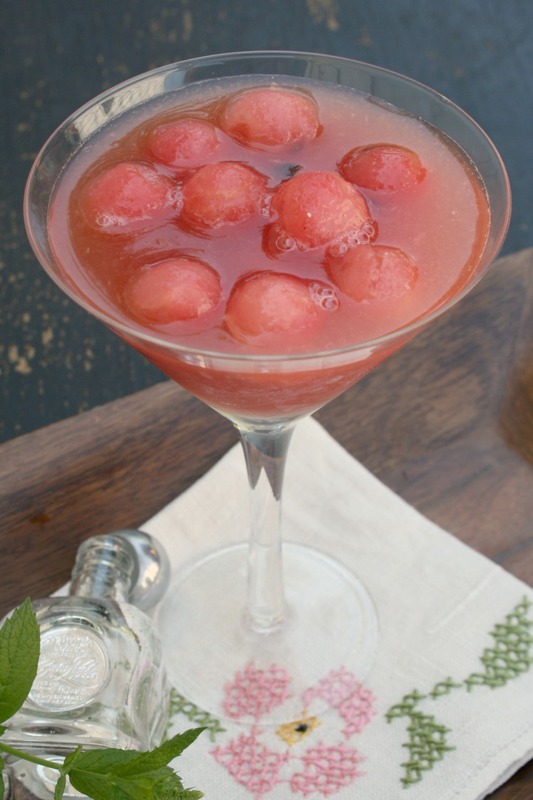 Plus, you get the bonus treat of boozy fruit at the bottom of your empty glass. Perfect for pitchers and punch bowls, as well (try it with all sorts of melons, pineapple, apples, pears, mangoes—you name it)! This month's edition of Food 'n Flix is being hosted by Sarah at Chef Sarah Elizabeth with her pick, Dirty Dancing; submissions are due July 30, 2017. Join us next month as we head into the kitchen with our host Courtney of Fictional Fare with her pick, Secondhand Lions. 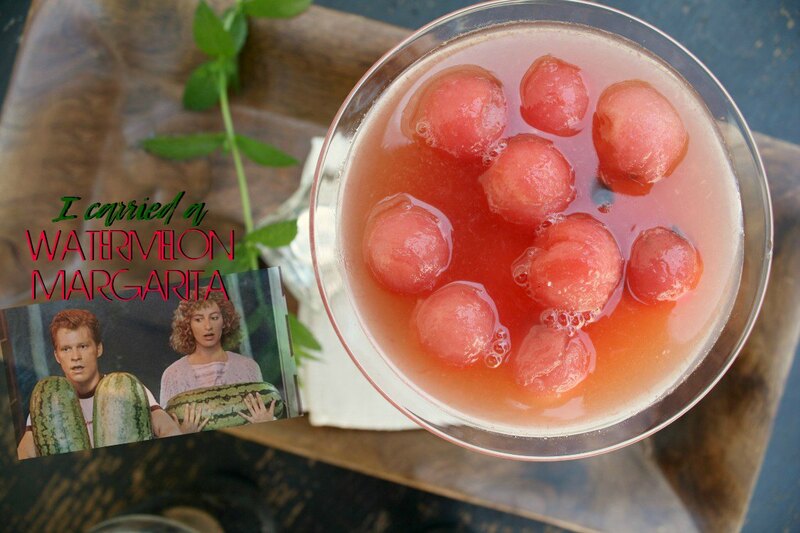 The frozen watermelon balls in this recipe will keep your margarita cold without diluting it. Multiplies easily to make a cocktails for a crowd. Place all of the ingredients into a cocktail shaker filled halfway with ice, adding lime juice and sweetener, to taste. Shake it like you got it. If you like, rim a cocktail glass with sugar or salt. Fill with ice or frozen watermelon balls (see notes below), and then strain the margarita into the glass. Enjoy cold! Try adding a few fresh mint leaves to the cocktail shaker first, bruising them with a muddler before adding remaining ingredients. Add a sprig of mint as garnish. Multiply the ingredients to make a pitcher-full for a party. Use a melon baller to cut balls from a watermelon. Lay them in a single layer on a plate or tray; freeze until solid. If you're not using them right away, transfer to a freezer baggie until needed. Add to cocktail glass before adding the cocktail, in place of ice. 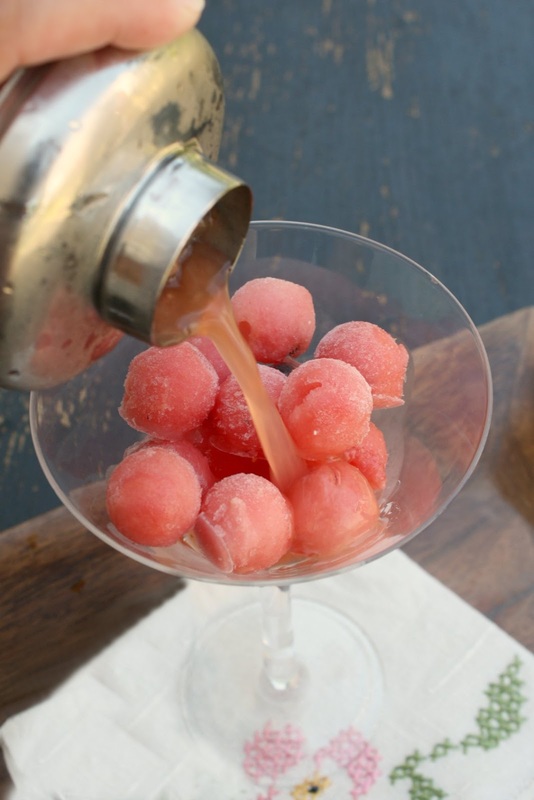 I love using these in place of ice because they don't dilute the cocktail...and then you're left with booze-soaked watermelon balls to munch on when you're done with your cocktail. Make a whole watermelon's worth of balls and freeze the whole batch if you're making a pitcher of margaritas!